Allen knew he wanted to pursue higher education, but didn’t know how he would find a way to pay for it. After high school, Allen enrolled at Carroll Community College and worked three jobs to pay for school. He was a math tutor, a gym attendant and, at night, was a lot attendant at a nearby car dealership—all while maintaining a 4.0 GPA. Allen took a general engineering class and was hooked. Before long, Allen was sketching circuits and logic designs in his spare time. He applied and was accepted into the University of Maryland, College Park to study engineering. But Allen’s worries about paying tuition only intensified. 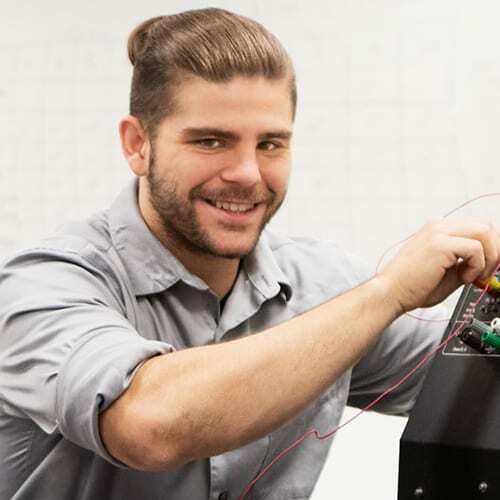 With a full course load in the University’s competitive engineering program, Allen would no longer be able to hold multiple jobs and focus on his studies. Just before classes were set to start, he was awarded a scholarship through the Clark Opportunity Transfer Scholars Program, a University program supported by the Foundation that provides a full tuition scholarship to select transfer students in the engineering program for the next two years. For Allen, this was the “opportunity of a lifetime.” With the sudden flexibility to focus on campus life, he was given the chance to pursue University athletics, walking on to the Maryland football team as a defensive back. Today, he juggles practice, workouts and team meetings on top of his rigorous engineering course load. Looking back, Allen is proud of the work he put in because it makes him truly appreciate the value of an education. This fall, he will suit up for one final season as a Maryland Terp and, in December of 2017, he will graduate with a Bachelor’s of Science in electrical engineering.